A substantial portion of the Firm’s practice involves the representation of collectively bargained jointly administered Pension, Annuity, Health and Welfare, Severance, Apprenticeship Training and Scholarship Funds. The services we provide encompass all aspects of structuring plan documents in compliance with ERISA, the IRS Code and applicable Regulations as well as providing guidance, advice and assistance in complying with the complex regulatory environment in which the day to day operation of benefit plans exists. 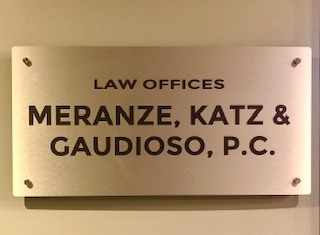 We have extensive experience appearing in Federal Court and before the Department of Labor on behalf of our benefit fund clients and in negotiating and drafting contracts with service providers such as insurers, third party administrators, investment consultants and investment managers. We also assist our Union clients in negotiating and navigating plan designs offered by employers under employer sponsored benefit plans. These services are provided in conjunction with our Labor Practice. Individual employees can also seek our assistance in addressing problems they may have in accessing or obtaining benefits to which they are entitled. We can assist employees through the benefit claims process, assist with appeals of claim denials and where necessary take formal action on their behalf. Representation of individual employees is limited, however, to situations where we do not have a conflict of interest due to our representation of the Benefit Plan with whom the problem arises.